Your children or teenagers will love this activity above all, combining respect, responsibility, technique and finally a unique form of adventure. 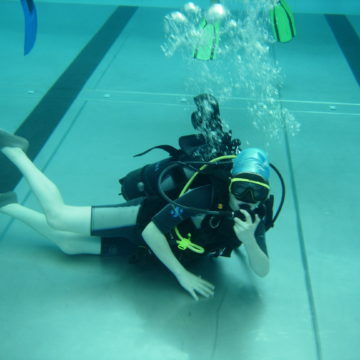 Your children or teens can participate in this BDA diving course from 9 years old. The diving stage takes place in the morning or in the afternoon at the Sporcity swimming pool in Woluwe-Saint-Pierre (Brussels). The course is essentially fun and allows children to have fun safely. 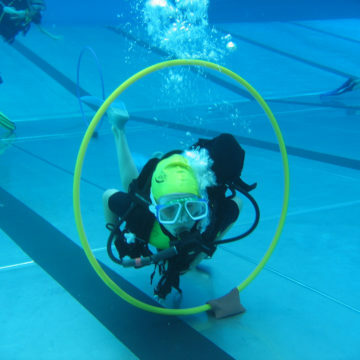 We also have at their disposal a whole series of underwater games but also a real underwater scooter! What is the planning of a diving stage? Beginning of the stage: allocation of equipment. 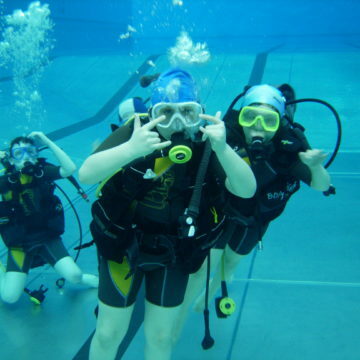 The children / teens will then test their basic equipment (fins, mask, snorkel). In turn – at the rate of two children / teenagers maximum per instructor – they will do their diving discover and thus their first bubbles. Before the end of the course, it will be time to put away the equipment and join the locker room. Diving equipment is a material requiring special care to ensure safety. 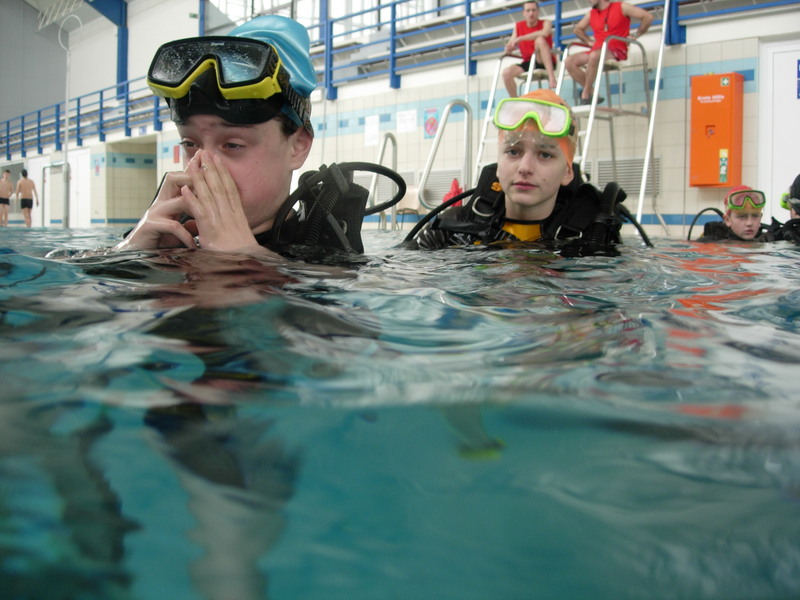 The care and respect of the equipment is also part of the diver’s learning. What are they doing during diving a diving stage? During the following days, your child will participate in the assembly of his diving equipment. assistance and first aid techniques. Depending on the level, size and abilities of the group, your child / teen will spend about 1 hour in immersion (which is the usual time of a real dive at sea). The rest of the time is spent preparing equipment, warming up, maintaining and storing equipment. All these steps are part of the dive training. 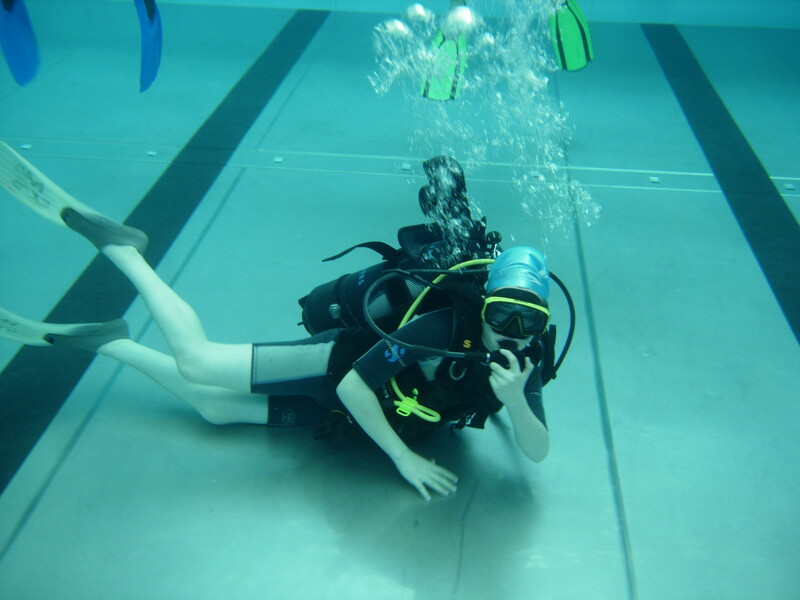 On Friday, the last day of the camp, activities will be more fun, including: testing of various equipment, testing of professional equipment, use of underwater scooter, underwater games. Required equipment: swimsuit (but no shorts or Bermuda shorts) and swim cap. 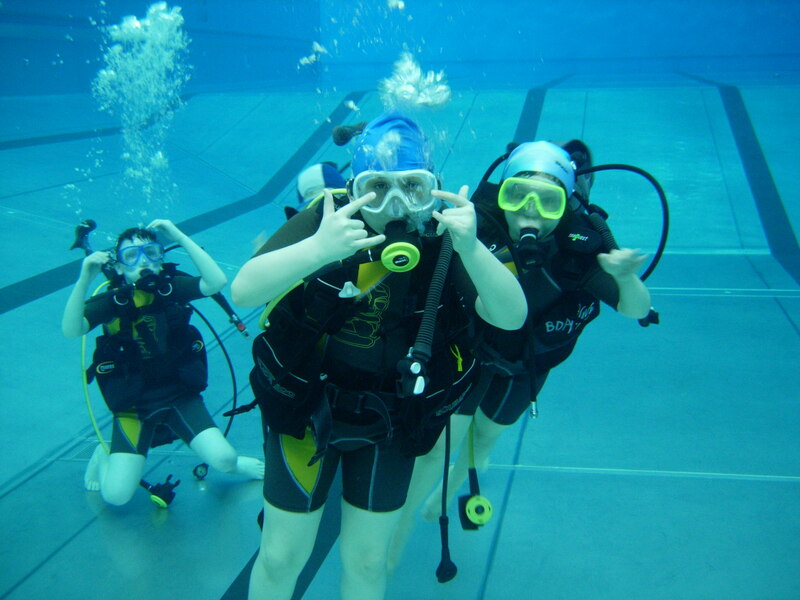 All necessary diving equipment will be provided to children / teens. 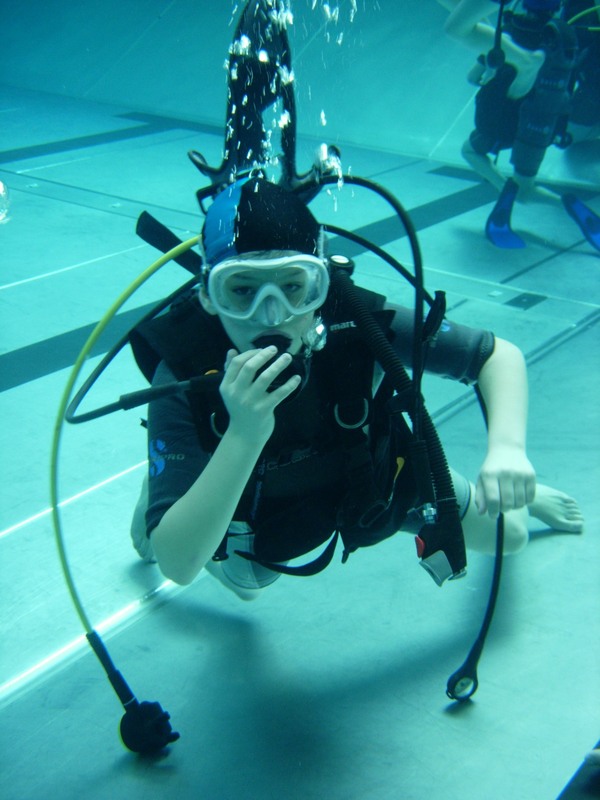 Optional (supplementary budget), during this diving stage for children and teenagers in Brussels, your child can prepare an international PADI diving certification (from 10 years old). 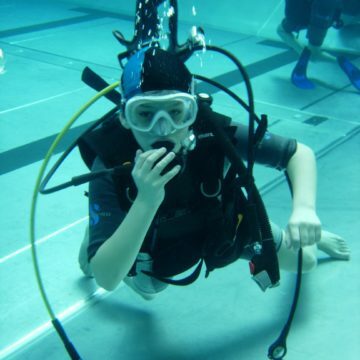 This first diving certification will allow him to be able to dive anywhere in the world. It will also allow them to participate in our dive weekend trips. We strongly recommend that your child-teen first do an experiment (stage, bdiscover dive on vacation, …), to be really sure of his motivation. Hurry to register them because the places are limited per week!